Picture of a cute tiny kitten in a hand. As he was finishing his shower, little did he suspect that exactly four seconds after grabbing the white towel, his life as a man would change forever. Niiiiiiiice pit bull…. Niiiiiiice pit bull…. Goooooooood dogggggieeeee….. I hope your name isn’t Curiosity! I love hide and seek! I’m just not so good at it yet. That picture of the kitty cup one, and it just made me crack up!!!!!!!!!!!!! i love this picture! i can’t stop saying awww!!! so adorable!!! hey dont call that dog ugly!!!!! well i have a dog way way way smaller then that and his name is maxwell and i have a biger dog named maxmiss!!!!!!!!!!!!!!!!!!!!!!!!!!!!!!!!!!! itz simply soo cute !!!!!!!!!!!!!!!! 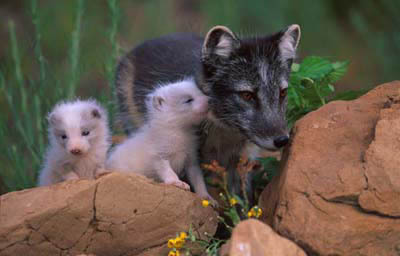 i love those cute fox cubs.. as long as they don’t bite!!! I AGREE WITH MELANIE U SHOULDNT SAY THE DOG IS UGLY. ALL DOGS ARE BEAUTIFUL EVEN PITS. P.S. They are jerks to say that about that dog!!! Thanks for sharing such cute pictures! I WUFFF ALL THESE PICTURES!I ALSO HAV A DOG!I LOVE THE PIC WITH THE DOG IN THE SANDWICH IT IS SOOOOOOOOOOOOOOOOOOOOOOOOOO CUTE!THIS IS A GREAT WEBSITE! They are all so cute! My friend Jaimee has a cat called Marbles and she’s having kittens. They are so cute and tiny that they fit in an 8 year old hand. these pictures are funny and cute!!!!!!!!!!!!!!!! >.< KAWAII!! keep up the good work!! they’re ma fav fury buds…. soooo cute!!!!!!!!!!! 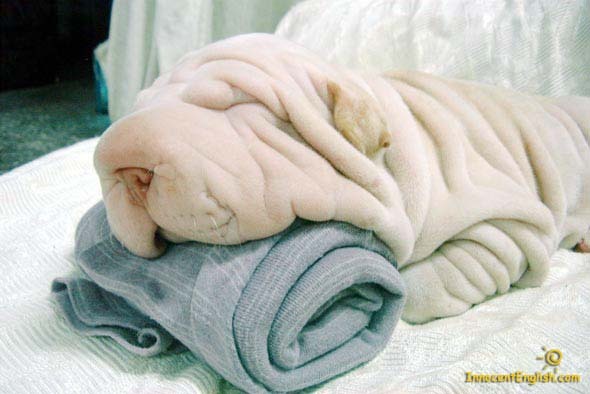 the wrinkle dog that look like a towel was really funny and when i saw it i said why did they put a towel in the dog website.and the two cats were really cute. That picture of the baby hedge hogs was so cute!!! hi peeps hot dog guy is sweet!! i love these pictures i cant belive people eat these things! OMG! your animals are sssooo cute and funny! do you no how funny they are! seriously u should! i just want 2 keep rambling on and on but i shoodnt cuz if i do ill syart toking about about 1 thing and end up on big foot it happens all the time and my frends get annoyed and look wat im doing now ramling on and just like i warned! u c it happens and i wont stop till ive toked about every little thing and i have taken up almost the hole thing and im using tx tok ! o and now i hav used more than the hole thing. id bettr stop now or ill keep going all nite!i prob will anyways! u c i cant stp and this only took me 2 minutes 2 type! im going 2 stop now or u’ll b sorry! so have a good nite or die a horrible deth and peace or bad luck 2 all! im messed up arent i! c there i go again i just cant stop! i told u i just keep rambling till i get bored and look im not bored yet are you cuz u prob r! sssooooooo sorry now reely got 2 stop tok 2 u next time on thye nonstop tok shok show wont stop till YOU drop! lol!!!!!!!!!!!!!!!!!!! ooo there i go again i stated off warning u and look at me now just going on and on bout life and o u dont care bout my life do u! and ur prob saying yes 2 urself! ooo scool was sssooo bad do u still go 2 scool! oooo goodby 4 real! They are so Ugly,but cute!!!! Some are just plan old cute! I love animals.I used to live on a farm with pigs,cats.dogs,cows,horses,and goats. Even konw how ugly they were i still love them. I loved the little dog sand witch! I thought it was so cute I showed it to people at school ,and my family.I think that the best one I have ever seen it would probly be that doggie one sooooooooooo cute. 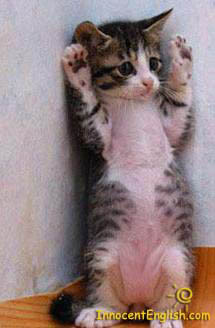 That kitty is sooooooooooooooooooooooooooooooooo cute!!! I loved it so much it is my new screen saver. we alll thinx itz all sooooooooo cute LOLZ!!! THIS FIT MY FRIEND PERFICT!!!!!!!!!!!!!!! yall don’t need no puppidy samich! 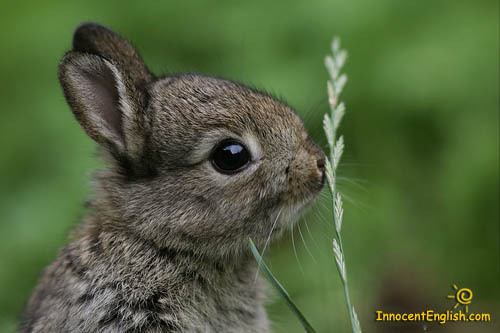 thats bunny is so cuttttttttteeeeee!!!!!!!! i love it!!!!!!!!!! the winer dog is so cute it is like I want to keep that dog for a pet in real life. It is so cccccccccccuttttttttttteeeeeeeeeee!!!!!!!!!!! that wiener dog is so cute it is like Iwant to keepthat dog for a pet in real life. It is so cccccccccccutttttttttteeeeeeeeeee!!!!!!!!!!! these animals are so cute and that duck song was pretty funny!!!!!!!!!!!!!!!!!!!!!!!!!!!!!! This r da cutest pictues of cats & dogs! 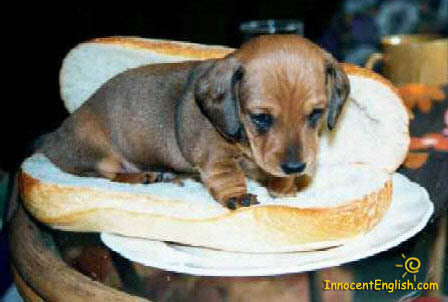 those animals are so qute i wish i had one of them expeshaly the wenner dog on that pice of bred that was so qute!!!!!!!!!!!!!!!!!!!! i love dogs and cats i dont like big dogs or cats. Because they dont look cute i dont know why. I liked the dog in the bread is soooooooooooooooooooooooooooooooooo but soooooooooooooooooooooooooooooooo cute!I cant stop saying awwwwwwwwwwwwwwwwwwwwwwwwwwwwwwwwwwwwww! i rrrrrrrreeeeaaaaaaaaaallllllllllllllllyyyyyyyyyy lllllllllooooooooovvvvve dogs and cats because they are ssssssoooooo ccccccccccccccccccccccccuuuuuuuuuuutttteeeeeeeee!!!!!!!!!!!!!!! !hahahahahahahahahah i cant stop saying aaaaaaaaaaaaaaaaaaaaawwwwwwwwwwwwwww!!!!!!!!!!!!!!!! the baby kitten ,the kitten standin up, and the puppy dog sandwich is so cute !!!! awwwwww !!!!! I think my freind Indianna looks like the cat holding its hands up it looks so cute!!!!!!!!!!!!!!!!!!!!!!!!!!!!!!!!!!!!!!!!!!!!!!!!!!!!!!!!!!!!!!!!!!!!!!!!!!!!!!! hi these animals are the cutest ever just like my dog ollie I wish they were mine they make me laugh evry second of every day I look at them when ever I can my noona number 2 wil laugh her head off and say there cute and she dosnt like animalsif I could I would stay on here all day. hi my name is india these animals look so cute like my dog ollie sorry i haft to write it again but i made some mistakes any way i wish they were mine they make me laugh every second of every day i look at them when ever i can my noona number 2 will laugh her head off and say there cute but she hates it when there in her bed if i could i would stay on here all day. all these animals or so cute i cant pick witch one is the cutest!!!!!!!!!!!!!!!!!!!!!!!!!!!!!!!!!!!!!!!!!!!!!!!!!!!!!!!!!!!!!!!!!!!!!!!!!!!!!!!!!!!!!!!!!!!!!!!!!!!!!!!!!!!!!!!!!!!!!!!!!!!!!!!!!!!!!!!!!!!!!!!!!!!!!!!!!!!!!!!!!!!!!!!!!!!!!!!!!!!!!!!!!!!!!!!!!!!!!!!!!!!!!!!!!!!!!!!!!!!!!!!!!!!!!!!!!!!!!!!!!!!!!!!!!!!!!!!!!!!!!!!!!!!!!!!!!!!!!!!!!!!!!!!!!!!!!! those are the cutes animals i have ever seen i love them all they are so adorable to me i love them soooo much sooo cute i wish that they would all be mine i had to poodles one time there names were so cute duke and daisy and also a big Labrador his name is Goliath he was the nicest dog ever he would let me ride on his back he was tall!!!! i love animals so much there, always so cute my favorite animal is a cat i love cats i think there sooooooooooo cute there the cutest animals i have ever seen they are my favorite ever i love them!!! THEYS DOGS AND CATS ARE SO CUTE.I WISH I HAD WON OF THOS CATS AND DOG.